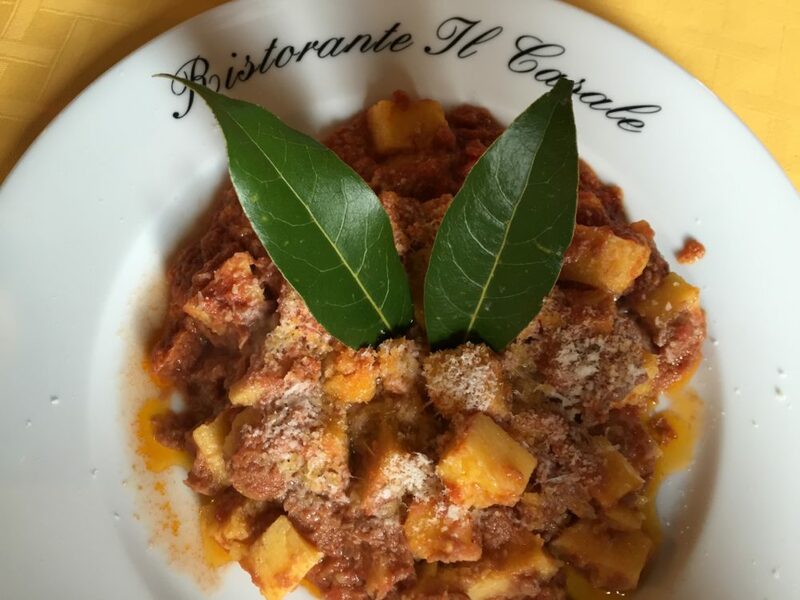 Just in front of our hill, the red Il Casale restaurant is a family run place with authentique umbrian food. They do their own bread and oil. Most of the vegetables come directly from their farm. Mother Giuseppina, “Pina” for friends is the chef. We think it is really one of Paciano best restaurants! Paciano, Il Casale – Address: Vocabolo Cerreto 06060 Paciano (coming from Chiusi turn right at the Oleificio” and follow the signs for il Casale). NEVER ON WEDNESDAY! We recommend to go at sunset and to eat their popular gnocchi pasta made by bread instead of potatoes! We also recommend to drink as a daily wine the local red from Poggio Bertaio, Sangiovese, Umbria. (It is also as a good value).